To add new brand go to Admin Panel -> Products -> Brands. Enter Name, Description and select Thumbnail. BeRocket Account and Product key uses for auto update plugins from BeRocket site. Where can you find Account Key? What can you do with Account Key? Where can you find Product Key? What can you do with Product Key? Contains general settings for Product Brands. Contains setting to set custom CSS code that will be added to frontend pages. BeRocket account settings are in Admin Panel -> Settings -> BeRocket Account. 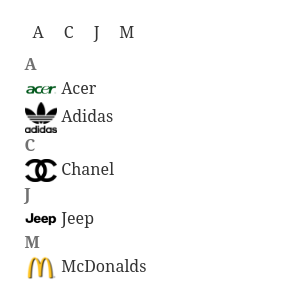 Widget to display Brands list by name. You can place this widget to any widget area like other widgets. Widget to display product brands. You can place this widget to any widget area like other widgets. Slider - brands list as slider. Widget to display product brand information. You can place this widget to any widget area like other widgets. [brands_product_thumbnail] - display brand thumbnail on product page. Displayed brand name, when brand has no thumbnail. type - type of information ( name, image or description ). Can be used multiple types (Example: name,image,description). Position of elements is important. name,image,description and description,name,image return different shortcode. Template that uses in plugin. template - link to template that will be loaded. HTML code, that brands_product_thumbnail shortcode returns. HTML code, that brands_info shortcode returns. HTML code, that brands_by_name shortcode returns. HTML code, that brands_list shortcode returns. HTML code, that brands_products shortcode returns. 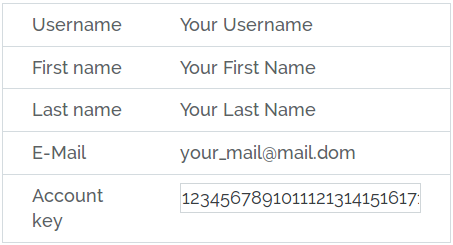 Action in brand_info shortcode before HTML. 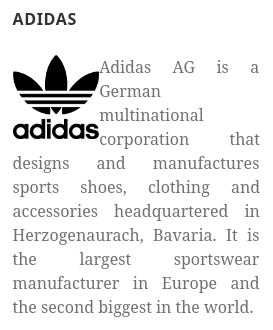 Action in brand_info shortcode after HTML. 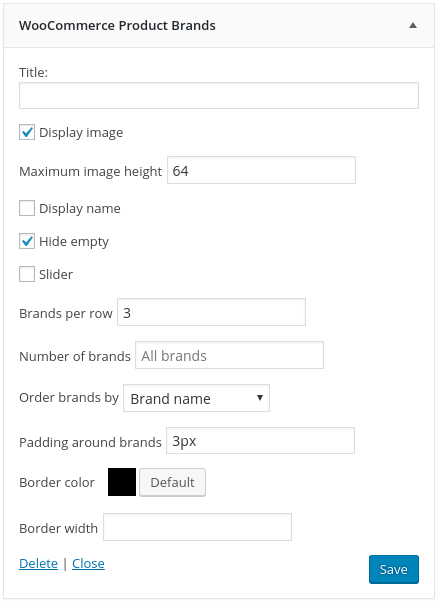 Action in brands_by_name shortcode and WooCommerce Brands by Name widget before letter block. 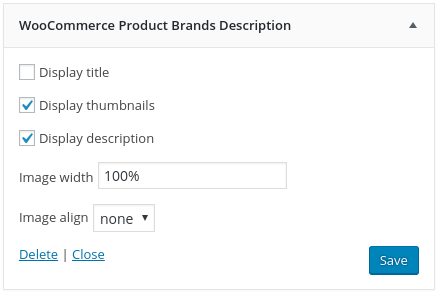 Action in brands_by_name shortcode and WooCommerce Brands by Name widget after letter block. All of these functions is in class BeRocket_product_brand as static functions. Function for initialize scripts and settings page in admin panel. Add option page to admin menu. Get template part (for templates like the slider). Default templates places in plugins folder woocommerce-brand/templates. 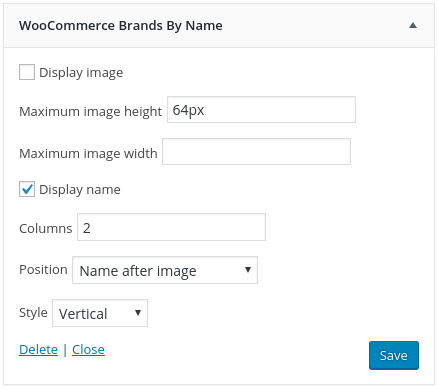 To rewrite the template in your theme folder create folder with name woocommerce-product_brand and places new template with identical name in this folder. All settings you can find in BeRocket_product_brand class in static variables $defaults.